When Judith Davey took up the role of chief executive of The Advocacy Project, the main challenge was to find and develop sustainable funding sources. To achieve that, she knew she needed to enable a culture where every member of staff could tell the story of the amazing work the organisation does. A high rate of staff turnover indicated work had to be done to increase employee engagement and motivation. Although the charity was doing great things in supporting people with learning disabilities, mental health problems, dementia and eating disorders, it seemed that individual staff members weren’t necessarily able to see that impact. Judith began identifying ways to improve communication across the charity. She recognised the importance of open conversations about what The Advocacy Project is here to do, where things are going well and how to improve where necessary. Across the organisation, managers have been encouraged and supported to have these open discussions with their teams, proactively identifying examples of great practice and, vitally, listening to teams’ ideas for improvements and new ways of working. The organisation’s vision is a world in which every person has a voice, and this external drive must be reflected internally. Judith believes this alignment and shared approach is central to the difference they have seen in employee engagement. How do Judith and her team know this focus on improving internal communication is working? The recent staff survey showed some impressive improvements. 81% of respondents said that ‘senior managers communicate clearly to me what the Advocacy Project is trying to achieve’ (up from 17%) and there was a corresponding increase in confidence in senior managers’ leadership (up from 21% to 69%). Staff turnover has reduced substantially and is now well within the sector average. Significantly, the number of people who feel that their pay is reasonable jumped by 30%; the charity hasn’t had the budget to increase pay, but it seems that the open discussions about what they are part of and how their remuneration represents appreciation for their hard work has shifted attitudes. Judith acknowledges this is a journey and there is still a long way to go, but they have already seen an increased awareness of their work amongst funders. The organisation has recently been awarded a large contract that will benefit vulnerable people. “We recognise that improving internal communication isn’t a switch to flick for instant results and that it goes hand in hand with behaviours too. There are other initiatives that we are putting in place, but communication is central to it all,” explains Judith. Image: Adam Antonio, photographed by Jem Collins of RightsInfo. 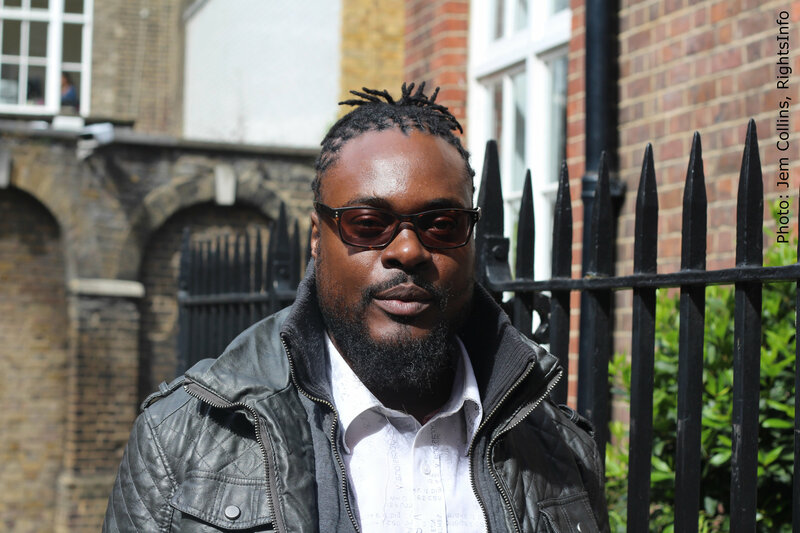 Adam Antonio uses mental health services and is one of the service user trustees on The Advocacy Project’s board. Adam became a trustee as he felt he could use his own experiences to give others a voice at the board table.